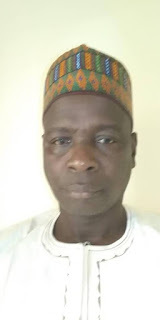 Federal Polytechnic, Bauchi Management Appoints Alhaji Sani Usman New Deputy Rector, Renews Tenure of Registrar Hajiya Rakiya Usman Maleka & Librarian Mrs. Hajaratu Clara Pisagih. The Governing Council of the Federal Polytechnic Bauchi had during its regular meeting held on Tuesday 14th, Wednesday 15th and Thursday 16th August, 2018 approved the appointment of Alhaji Sani Usman as the new Deputy Rector of the Polytechnic. A Chief Lecturer and two times Dean, School of Science and Technology, Alhaji Sani Usman, currently a Member representing the Academic Board of the Governing Council of the Polytechnic as well as Head of Department, Computer science. Also during the meeting, the Governing Council has renewed the appointments of the Registrar, Hajiya Rakiya Usman Maleka and Polytechnic Librarian, Mrs. Hajaratu Clara Pisagih for the second and final term respectively. Commenting on the development, the Rector of the Polytechnic, Arc. Sanusi Waziri Gumau urged the appointees to give out their best for the progress and development of the institution.